People in poverty face challenges virtually unknown to those in middle class or wealth–challenges from both obvious and hidden sources. The reality of being poor brings out a survival mentality, and turns attention away from opportunities taken for granted by everyone else. If you work with people from poverty, some understanding of how different their world is from yours will be invaluable. Whether you’re an educator–or a social, health, or legal services professional–this breakthrough book gives you practical, real-world support and guidance to improve your effectiveness in working with people from all socioeconomic backgrounds. Since 1995 A Framework for Understanding Poverty has guided hundreds of thousands of educators and other professionals through the pitfalls and barriers faced by all classes, especially the poor. 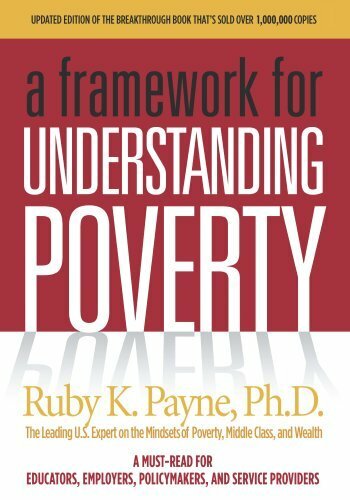 Carefully researched and packed with charts, tables, and questionaires, Framework not only documents the facts of poverty, it provides practical yet compassionate strategies for addressing its impact on people’s lives. Next Next post: Why Are Young People Pretending to Love Work?